Baby shower etiquette changes with regard to different traditions, cultures, different countries and towns. How do you know what etiquette to abide by? Hosting a baby shower is a big honor, but it’s important to know the basic baby shower etiquette so that you can create the best baby shower. We’ve created a whole page full of common questions that are asked and all kinds of answers to help you figure out what’s right for you. Remember, if the following answers don’t suite your local traditions, stick to what’s best for you and your society (we have tried to make our answers “politically-correct” and with regards to American baby shower customs). Below is a list of common questions and their answers. Who hosts and organizes a baby shower? Is it okay to throw a baby shower for a baby other than the 1st? A baby shower after the baby is born? Invitations… What and how to write? When to send? etc.? How do I begin planning a baby shower? When, Where, What, Who? A co-ed baby shower (with men)? A baby shower for the father? Who pays for the baby shower? Can I ask a friend to host a baby shower for me? Can I throw a baby shower for myself? What food do I serve at the baby shower? Can an expected mother have more than one baby shower organized for her? Do I need to send out Thank You cards after the party? Friends that have had recent miscarriages or are having problems conceiving, would it hurt them if I invite them? Do I need to give out baby shower favors and/or prizes? Should I have games at my baby shower? A baby shower for an adopted baby? A baby shower for grandma? Can I throw an “adults only” baby shower? If an employee or even boss is pregnant, is it appropriate to throw them a baby shower? Can a husband throw his wife a baby shower? Twins or even triplet’s baby shower! Do I need to bring a gift for each baby? Traditionally in baby shower etiquette, the baby shower was hosted and organized only by people outside of the family, like friends and co-workers. It was considered improper that a family member host and organize a baby shower for the mother-to-be because of it being a gift-giving event (so that it won’t look as though the family is asking for gifts). Nowadays, baby shower etiquette has changed, in many regions, this tradition is ignored and has become very common that family and relatives also host and organize the baby shower. When it comes to tradition, a baby shower is held only for the first baby. Baby showers came about to help the parents-to-be prepare themselves for a new first baby (with a first baby, mom and dad need to buy lots of basic baby supplies they didn’t have beforehand, including large items like a baby stroller, a baby high chair, a baby car seat, baby crib, etc.). In modern times, baby shower etiquette is changing. Baby showers for subsequent babies do take place; a baby’s birth is always a reason for a wonderful celebration. This really matters what is customary and accepted in your area and culture. For subsequent babies, there is a new trend of celebrating a “Baby Sprinkle” which is a smaller celebration than a baby shower. Just like it’s name – it is celebrated in order to “sprinkle” the mother with joy and smaller gifts (rather than big and unique gifts given at showers); gifts that are essential and used for everyday purposes – like diapers, wipes, baby formula, burp cloths, baby lotion, bibs, blankets, onesies, etc. Just keep in mind that holding another baby shower or baby sprinkle is much more than just gift-giving, it’s a wonderful opportunity to gather friends and family together and celebrate a new baby’s birth. If you feel uncomfortable with people bringing gifts to a subsequent baby’s shower, it is not a problem taking the focus off of the gifts all together (you can write it in the invitations, e-mail, phone or by word-of-mouth) and just gather everyone to celebrate. If the subsequent baby is of different gender or possibly there has been a large time lapse between babies (or you just feel like throwing another baby shower for the second/third/etc. baby) then go for it. It is recommended to invite only close friends and family for subsequent baby showers and not go too wild as you may have in your first baby shower (even though for subsequent babies that are of a different gender, people tend to throw a large baby shower just like for the first baby). There are cultures and regions that celebrate the baby shower or baby party a month or two after the baby is born. This allows all the friends and family to meet the new arrival. Sometimes it can be more suitable for the mother to hold the baby shower after the baby is born (she might be having a difficult pregnancy or belong to a religion that discourages celebrating for a baby before being born). If you want to throw a baby shower for a friend or family after the baby is born, just remember to be sensitive and attentive to the mom and dad’s needs; a month or two after the baby is born can be a hectic time, make sure mom and dad are up for it. 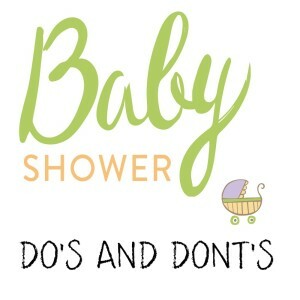 For example when throwing a shower for an adopted child, it is part of baby shower etiquette to celebrate the baby shower after the child has been fully adopted, and not beforehand, to make sure the adoption is final and that there are no complications. Check out our baby shower invitation page to find out important information on invitation baby shower etiquette: when to send out invitations, how and what to write, etc. How do I begin planning a baby shower? Where, When, What, Who? For baby shower etiquette on planning a baby shower and knowing ‘the basics’ – check out our Planning a Baby Shower etiquette article to find out important basics on creating a successful baby shower, including where and when to have a baby shower, how long should it last, guest list, theme, and much more. Baby showers were first celebrated for women to get together and pamper the mother-to-be. Lately, however, co-ed showers are also becoming popular, as men have been taking more of an active role in raising children. If you are considering a coed baby shower, consult with the mother and father-to-be and see if it’s something they would like having. Most co-ed showers are less ‘baby showerish’ and more of a party (guys don’t tend to get emotional like ladies do with all the ‘oohs’ and the ‘aahs’ when gift opening or talking about motherhood). It is popular to have barbecues for co-ed baby showers, and as guys might be bored watching the parents-to-be open gifts, you might want to organize other activities. Co-ed baby shower games can be very fun and even hilarious! Check out our co-ed baby shower game page to find the coolest co-ed games. Why not? Even though it wouldn’t be likely to see a bunch of guys sitting around the daddy-to-be watching him open presents “oohing” and “aahing”… pre-Dads are completely entitled to celebrate their upcoming child’s birth! A daddy baby shower can be held with just the guys, something they will all enjoy doing (possibly going to a restaurant, having a barbecue, a camping picnic, a bar, etc.). If the name “baby shower” doesn’t seem to fit for a guy-type party, you can call it anything else, how about “Celebrating Upcoming Fatherhood” or “Dad’s baby party”. When taking baby shower etiquette into account, it is common for the host (whoever organizes, invites guests, etc.) to pay for the baby shower. A baby shower is considered a present for the mother/father-to-be. If you have a really tight budget and need more help, close family and relatives of the mother/father-to-be could be open to help and contribute financially (it isn’t much of baby shower etiquette to ask the mother/father-to-be for financial help, so you’re better off approaching their close family). A great idea is to co-host with someone else who is as close to the mother-to-be as you are; this way it puts the responsibility on two and is easier. You might also want to organize a get-together so that all the women or men friends can create and organize the baby shower together, possibly even having a potluck with everyone bringing something, or each person helping out with different aspects of the baby shower. There might be guests that don’t have time planning but would like to help out with the costs, others that don’t have so much money to give and would rather help organizing, or others that won’t be able to arrive to the baby shower and decide to help behind-the-scenes. Just remember, organizing a baby shower with others is not a contest to see who pays more, everyone will try to pitch in what they can, the most important is to focus on the joy and celebration of the upcoming baby. When it comes to baby shower etiquette, it isn’t very proper to ask a friend to host a baby shower for you. Hosting and organizing a baby shower usually takes a lot of time and the cost falls on the host’s responsibility. You wouldn’t want to put your friend in an awkward situation if they don’t have the time or money, they would feel bad not saying “yes”. If a friend offers help, saying something like “Tell me how I can help you, I’d love to do something for you, what do you prefer – a baby shower, help with the baby after the birth, etc?” In this instance it would be okay to ask for a baby shower. 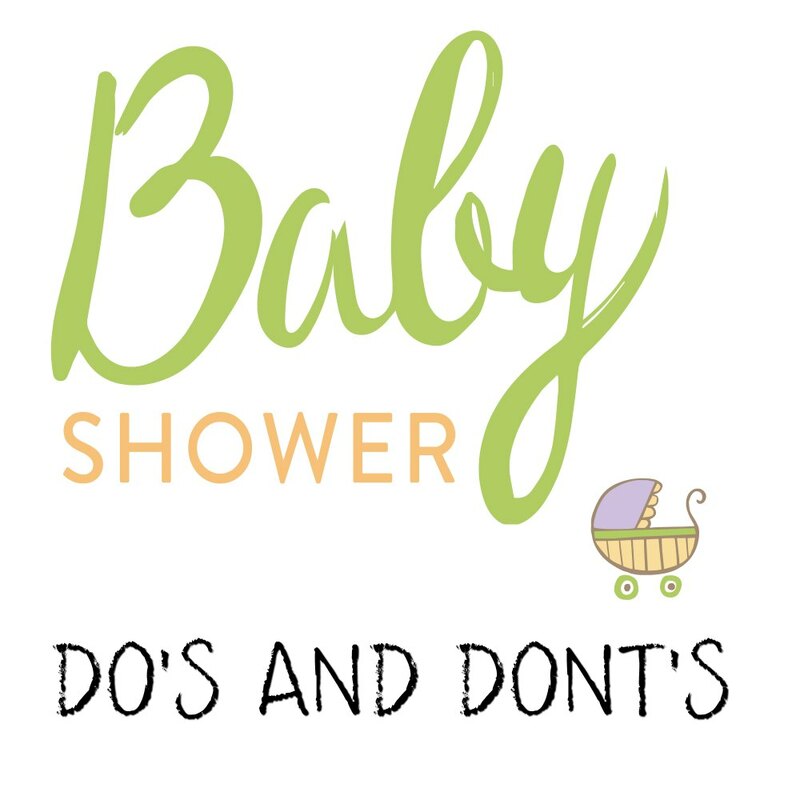 Showers can be hosted nowadays by most anyone, but it’s not as customary to hold a baby shower for yourself. When it comes to baby shower etiquette, there are a few that consider throwing a baby shower for yourself a bit tacky and greedy (you are having a party for yourself and guests are asked to bring gifts, as if you are indirectly soliciting for baby-goods). BUT, it really depends on who you are, where you live, and how you think your friends and family will understand the situation. Not everyone has friends and family that are considerate enough, or have the time and money to offer a baby shower. Ask around and see how people respond to it, it could be no problem, and is probably accepted in different areas and cultures. You can also throw a “Baby Welcoming Party” after the baby is born (to introduce people to the new arrival). This way people know that they are coming to meet the new loved one and most are accustomed to bringing cute baby gifts for the new baby. Most even send gifts when receiving birth announcements. Organizing the baby shower menu is very important! Food is such a big thing in our daily lives, and it’s just as important in a joyous celebration. We have created a whole page dealing with baby shower food, drinks, desserts and many more ideas. Check out our baby shower food page! Surprise baby showers are extremely tricky. You first want to make sure the mother/father-to-be really like surprise parties. Remember, there are people who dread them. Other than that, the mother-to-be might want to be involved with important decisions as guest list, theme, decorations, etc. and wouldn’t like the idea of a surprise. On the other hand, there are people who really love surprise parties, they love the surprise, the attention, the people-mingling, etc. So make sure the mother/father-to-be are surprise-lovers before throwing any surprise baby shower. You have to be very careful when organizing a surprise baby shower. You have to be extra sure you know the mother-to-be well enough to know what she would like, who would she like to be invited, how her pregnancy is going along (there are women that have difficulties with their pregnancies and would rather not meet a lot of people at a certain time). If the baby shower is only for the mother-to-be, you should be in touch with her husband, sister, brother, mother, father, mother-in-law, etc., and any best friends she may have in order to get all the details regarding her plans, her likes, etc. Don’t forget to emphasize the fact that it’s a SURPRISE baby shower in the invitations. If you know the mother-to-be is having more baby showers organized for her, then throwing a small surprise baby shower could be a wonderful idea. You can invite only a small amount of people, possibly only family, or if you’re a co-worker, how about a small and symbolic surprise baby shower at work or with other co-workers. It has become quite common that a mother-to-be have more than one baby shower thrown for her (different hosts and organizers for each baby shower); there are so many different groups of friends, family, co-workers, etc. For example, a family member might want to organize a baby shower with only family invited. Then a co-worker wants to throw a baby shower and invites only people from work. And then a group of best girlfriends want to get together and throw a baby shower, the church group may want to give one… This is A-Okay! It’s not a must, but definitely something that your guests will appreciate! We have written a whole page regarding thank-you cards and have created thank-you card printables for you to download for free! Check out our baby shower thank-you card page. Definitely invite such friends or family, just make sure you are super sensitive with them. Remember – in most cases your joy reminds them of their pain. They may not be emotionally open to celebrate with you and understand it if they won’t be able to make it to the baby shower, respect and recognize the difficulty with the subject. It’s best to ask your friend or family member first before sending an invitation, that way you are as thoughtful as you can be. Don’t be offended if they don’t come or if the amount of their participation in the baby shower is small. It’s also important to be kind and not whine about it “Why can’t she be happy for us?” or “If she can’t confront my happiness, I don’t know if I want to confront her loss”… this is not nice at all. Be sensitive and caring just like you would want others to be towards you. Many department stores, baby specialty stores and lots of online stores feature ‘baby gift registries’ which are the mother/father-to-be’s gift wish list. The mother/father-to-be sign themselves up at stores that they like and make a gift wish list of all the things they would love to have. Traditionally, this was a big no-no (to tell guests what to bring you), but nowadays baby gift registries have become more popular and can be extremely useful for those busy shoppers. Guests don’t need to stress over what gifts to bring. If they buy a gift the mother/father-to-be have chosen, they know that it will be a success (saving both dollars and headaches). It is usually written on the invitation if the mother/father-to-be are registered at any gift registries (very popular department store registries are Target, Wal-Mart, Babies R Us; and online stores – Baby Center, Amazon, and others). The gift registry and gift wish list can also be something that the mother/father-to-be can send via e-mail, and guests can view all the gifts online. If you are a guest who wants to buy a gift via a gift registry, there will usually be a baby gift registry machine at the entrance to the store. If there is no machine, ask a cashier or store manager. The baby gift registry machine/computer is usually user-friendly, try searching the mother/father-to-be using their last name. Once you’ve found them on the computer, you can usually print out the wish list and walk around the store to look for gifts. If you’ve found a gift from the gift registry, tell the cashier which gift registry so that they can mark the gift off from the wish list (so that more than one guest won’t buy the same gift). It’s a real great addition to a baby shower (although it is not a requirement, it depends on the traditions of the different cultures and areas in the world). Usually the guests don’t expect favors, they come to the baby shower to celebrate the new coming baby with the mother and father-to-be. But really, it can add some charm and happiness to the baby shower. Guests will feel special to receive favors and prizes. Favors and prizes don’t have to be large and expensive, they can be small and inexpensive and still be appreciated. We’ve created a whole page with lots of great ideas on baby shower favors and prizes, check it out! Why not? Baby shower games can be so much fun! It’s an opportunity to break the ice between people who may not know each other. Games at a baby shower spice things up and can make great entertainment, lots of laughs, and an opportunity for people to talk about their love for the mother/father-to-be. We have created a whole page of baby shower games to help you add some fun to your baby shower, check them out! Of course! It is really a wonderful thing that a couple adopts a baby, they will need just as much love, honor, support, and a joyous celebration! You’ll want to write on the baby shower invitation that it’s an adopted baby or adoption baby shower just in case there are people that don’t know this information. This is to ensure they don’t say something at the shower that will unintentionally hurt someone or make someone feel uncomfortable. A baby shower for an adopted baby should take place at least a month or two after the couple have been united with the adopted baby. This will leave time for them to be together, to get to know each other and bond. You don’t want to have a baby shower for an adopted baby before the adoption. Adopting a baby isn’t a simple task and may take longer or run into difficulties. It’s often been said that becoming a “grand”mother/father is always much “grander” then mother/father… you get to enjoy all the fun of a new baby! (There’s nothing like spoiling the little cutie for a day and then sending them back home to the parents ;-). Baby showers thrown for grandmas is a new and growing trend. It is very similar to a regular baby shower but is often smaller. It is usually held by a friend of the grandma-to-be and is usually for the 1st grandchild. If guests want to bring gifts, they can buy gifts that the grandmother-to-be will need to entertain and take care of her new grandchild. Grandmother baby showers can take place anywhere (you don’t need to worry about accommodating a pregnant-lady). A gift registry for a grandmother baby shower is probably too much… this baby shower should be a bit more casual and humble. The guest list should be made up mostly of grandma’s friends, co-workers, family, etc. Even though many guests might not know the daughter or son who is having a baby, they still know the grandmother, and would be happy to celebrate the joy of becoming a grandparent for the first time. There are all kinds of baby showers thrown nowadays, there is no specific baby shower etiquette regarding “adults only”. This is really up to you and the mother-to-be. It is a personal decision if you don’t want children to come. If this is what you decide, you will need to state the fact on the invitation “adults only” or “women only”. You will also have to be aware that some guests won’t be able to come, possibly having lots of kids and no babysitter or a newborn to take care of. You will need to understand and accept it if people choose not to come. You can also have a room right by the baby shower area that has a babysitter or a few sitters that will take care of the children during the party. You can provide this child care if there are guests that aren’t able to find a babysitter. You will also need to be flexible if a guest has a newborn and needs to be close for breastfeeding or other important necessities. It really depends on the specific relationship with the boss and employees. There isn’t anything in baby shower etiquette that says you can or can’t throw a baby shower for your boss. It is really a personal issue. If you feel close enough, go for it. You can also hold a small and symbolic baby shower – at work, during lunchtime, possibly with one large gift that all the co-workers chipped in to buy. This can be a really great way to celebrate for a boss and a nice surprise and an inexpensive way to give her a gift that will help her out. Even though baby shower etiquette is an ever-changing thing, this issue is tricky. It isn’t very common and popular that the husband (even if he’s the ‘best friend’) throw his wife a baby shower. Although if your friend’s and family don’t see any problem with it, it can be something to consider. You don’t have to bring three different gifts for three different babies. You can also find one gift that will be useful for all three babies. Is it ok for the grandmother to be to send invitations to her friends for her daughter’s baby shower? They all know my daughter but are close friends of mine.